Exclusive holiday flat, furnished with antiques and parquet floor with a fantastic lake view for 1 to 4 persons. 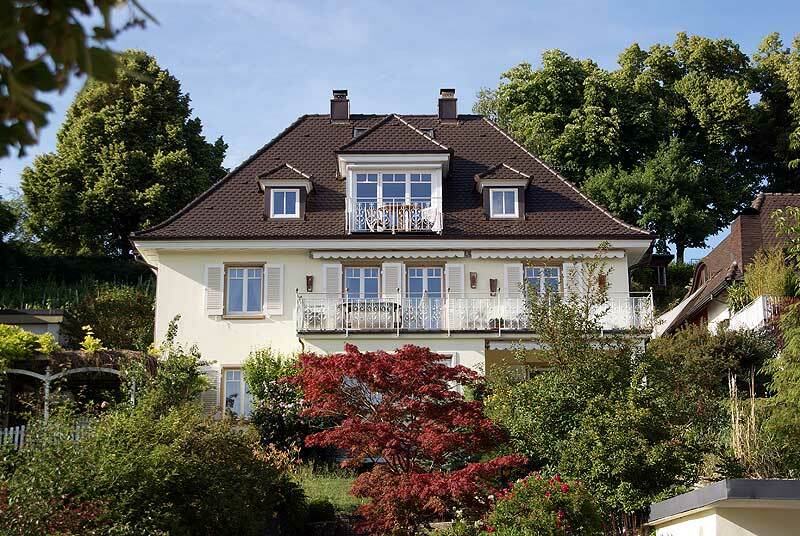 The apartment in the upper floor is situated at the sunny hillside in Allensbach in an , absolutely quiet but nevertheless in a central position. It consists of two double rooms, one living room with furnished balcony (teak furniture and electric blind), a breakfast kitchen, a bathroom with shower cubicle (glass), bath tub and WC as well as a corridor. 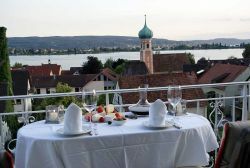 From the double rooms and the living room you will enjoy a gorgeous view over the lake to the Island of Reichenau, and to the Swiss bank as well as to the bay of Radolfzell. Parking is available directly in front of the house. A seat in the garden under a shady pergola also belongs to the apartment. W-LAN-connection is available in all rooms. The new kitchen is provided with a ceramic glass hob, a dish washer, a microwave as well as a coffee machine, a water boiler and a toaster. The living room with balcony is furnished with parquet floor and precious antiques made of cherrywood and, a sofa and armchairs made of white leather. You will also find aA TV as well as a hi-fi unit with CD-player are also in the living room. You reach the lake (approx. 200 m), the train station with the tourist information as well as the landing for the boats in just a few minutes by foot. Groceries, a pharmacy as well as several restaurants are in walking distance as well. 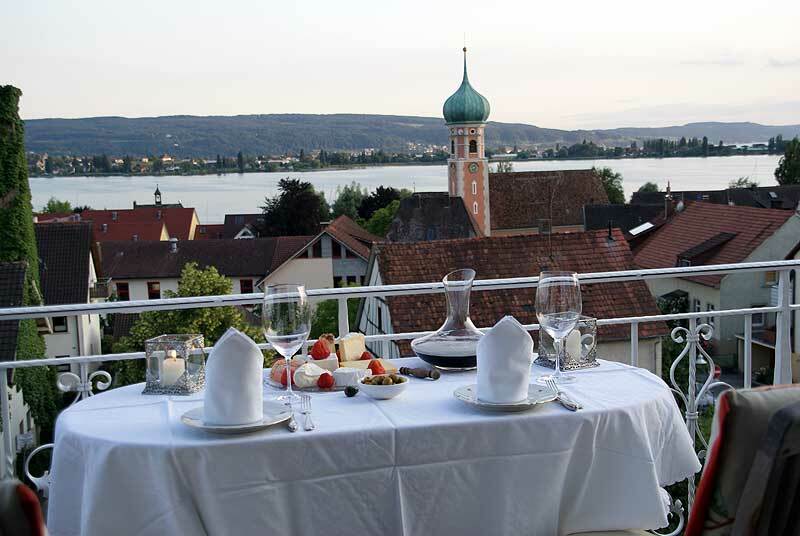 Our house is the ideal starting point for all demanding guests who set value on a quiet but central accomodation with extravagant ambience.